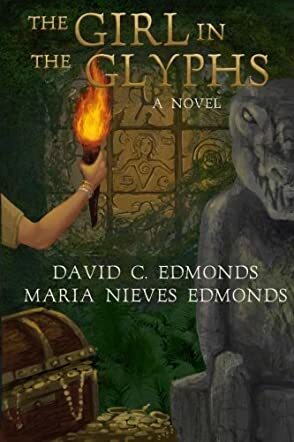 The Girl in the Glyphs by David C. Edmonds is the story of a Smithsonian specialist in ancient writing who is trying to find a glyph cave in Nicaragua. Jennifer McMullen-Cruz is a Smithsonian specialist who wants to find a glyph cave and she will do whatever it takes to get there and find out what the old civilization was thinking and writing. The situations in Nicaragua are getting worse and a gang of tomb raiders is also looking for the glyph cave. They are dangerous and they want the advantages that the glyphs will bring. Jennifer’s life is in danger, but that will not stop her from finding that glyph cave. A respite comes in the form of a handsome man from the US Embassy. Just when she thought things would be better, her cheating husband wants her back. With all these challenges and distractions in her way, can she keep her eye on the prize? Fast paced, fun, this is a really good mystery and suspense novel that everyone will love. The story is really cool and you cannot predict what will happen next. I really love suspense/mystery novels where I cannot guess what will happen, no matter how hard I try. The way this book is written makes the reader feel satisfied. There was a constant hum in my body when I was reading it. I could not wait to read till the end to see what happens. It was a complete novel that did not leave me wanting. A very well written suspense novel that I enjoyed very much.